A blog about productivity for the Internet entrepreneur. — My goal is to help you focus on your passions by reducing or eliminating the time needed to maintain the mundane tasks in your life. Touch ID iPhone 5s” by Pixeden.com – http://www.pixeden.com/psd-mock-up-templates/iphone-5s-psd-vector-mockup. Licensed under CC BY 3.0 via Wikimedia Commons. 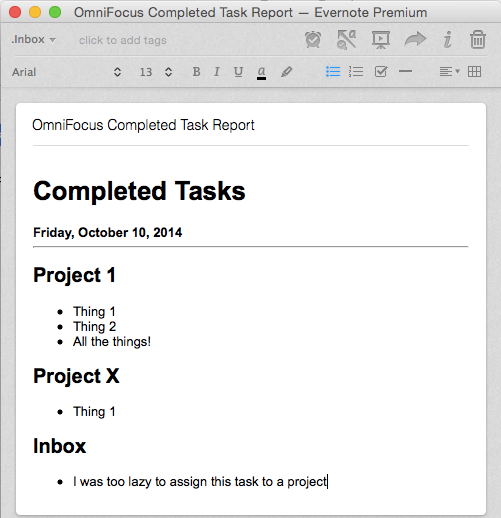 This OmniFocus AppleScript (based on this code) allows you to specify a time frame (e.g. Today, Yesterday, Last Week, etc.) 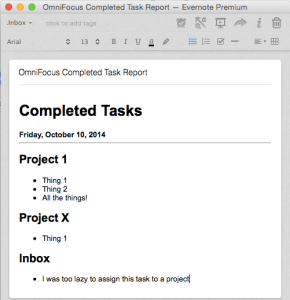 of completed OmniFocus tasks to export into Evernote. I *really* want this idea to become reality. Check it out and let me know what you think. How can I be productive on the Internet? This is the question I answered over on medium. To me, opening up a web browser is like walking into a large library. The potential is overwhelming and a strategy is necessary to maximize the amazing opportunity before you. Check out my strategy and let me know what you think. Last night, I woke up in a state of terror several times, with no real reason I can remember. Perhaps I should not have watched The Leftovers right before going to sleep. When I awoke for the day ahead, I was determined to carpe diem, even though I was feeling weary due to lack of sleep. And in fact, today ended up being among my most productive days. When I became a Developer Evangelist at SendGrid (one of the best jobs on the planet), I learned just how difficult keeping habits and routines while traveling really is. While I still struggle with this challenge, there are a few tips I’d like to pass on to help you keep moving towards your goals, posthaste. Enjoy and pass along to your chaotic good friends. Have you created your own Personal API? If not, head on over and read my latest blog post, Quantify Thyself: Creating a Personal Life API, that describes how to create one.